Do you want perfect solution for your Hair Check out our information and Videos. Mane Health is devoted to assisting women in their pursuit of healthier hair and scalp. I practice, educate, promote and facilitate healthy mane (hair), scalp, treatments, shampoos, conditioners, foods for hair health, styling and more. Whether your hair is relaxed, chemically treated, natural or transitional you will benefit from the information on this website. A lot of personal trial and error on my part has happened over the years, even as a professional. I have included a wealth of information in this site just for you! I want you to benefit from the things I learned about hair care (good and bad) without you having to experience the bad first hand. Remember, every hair scenario cannot be covered in cosmetology school; life experiences were my best teachers. If you are constantly searching the internet for hair tips on websites, blogs, forums, articles, videos, etc. your search is over. Learn how to acquire and retain healthy hair regardless of its type or texture from our collection of articles, interviews, e-books, videos and more. Do you have specific goals for your hair? Need a Hair Coach to devise a personal action plan to help you achieve your hair goals? Everything you need to know to begin your healthy mane journey is right here! Mane Health’s FREE weekly e-newsletter – “Your Main Source for Mane Health” – delivered straight to your inbox every week, Stephanie Anderson, Trichologist for Mane Health summarizes her blogs and articles into a free weekly newsletter – keeping you up-to-date with the most important hair/scalp, health & wellness and beauty stories of the week. Never again, will you risk being uninformed on critical information or advice about those issues and concerns as they relate to you, your health and well being and the ones you love. Sign up for Mane Health’s free weekly e-newsletter NOW and get this gift – ABSOLUTELY FREE!!! The Trade Secrets of Professionals. 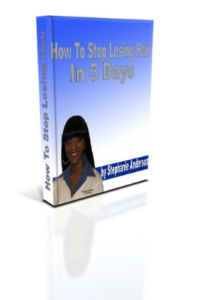 This e-book contains helpful information and advice on how to distinguish between hair breakage and hair shedding and propose solutions to treating these problems. Also, included is this well written book is an easy to follow HAIR TEST and HAIR TEST SUMMARY to be taken in the privacy of your own home. This guide offers some of the most useful hair-related information available today…AND a trade secret of hair professionals everywhere.